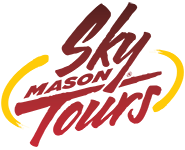 Mason Sky Tours is a locally owned and operated by Mason Adventures, Bali’s most renowned adventure tour company founded in Bali in 1989. Having had more than a decade of experience in tourism, Mason Adventures boasts a superb infrastructure which offers the highest standards of safety in Bali, together with a fast and efficient service unrivaled in the southern hemisphere. Mason Sky Tours was established to cater for the growing demand for Helicopter adventures in Bali. Since our conception we have established 4 of our own dedicated Helipads throughout Bali which we own and operate, offering our guests a fast, efficient and affordable service, eliminating airport delays, and with our own transport company, no pickup delays. Our range of exciting adventures gives you a chance to choose a scenic flight that suits you and your pocket. The spectacular coastline of Nusa Penida and the Uluwatu Peninsula or the unsurpassed beauty of towering mountings and steaming volcanoes are all just a short flight away. You can also transfer either to or from the Mason Elephant Park or White Water Rafting, it’s up to you. As Mason Sky Tours is coupled with the worldwide reputation of Mason Adventures we can offer a complete range of adventure tours to complement our Helicopter services. Our Helicopter Sky Tours can be combined with White Water Rafting, Elephant Park & Lodge, Mountain Cycling, Spa Package Tours and ATV Tours. Mason Sky Tours also offers a FREE air evacuation to a Denpasar hospital from any of our Tours for our guests on pre-booked tours. Our team are ready to show you all the amazing things there are to see here in Bali! We leave you with a unique view of Bali, the traditional culture and spirit that makes the island unlike any other destination in the world. The possibilities for your custom adventures are endless.